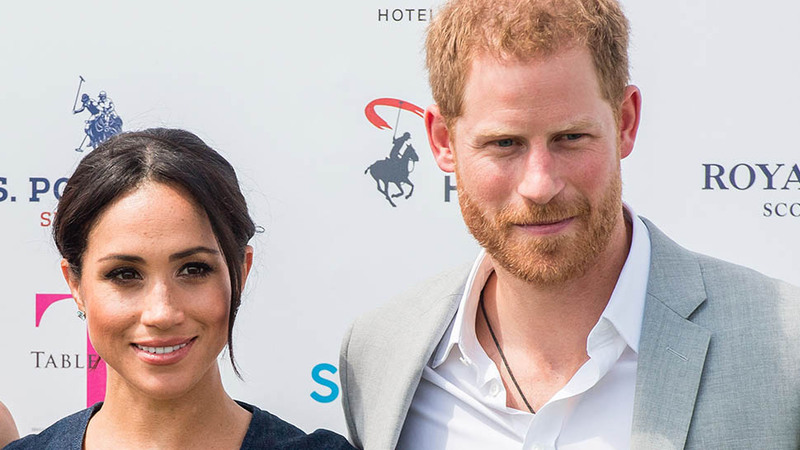 The competition is a fundraiser for Sentebale, a charity founded by Prince Harry, which supports young people affected by HIV. 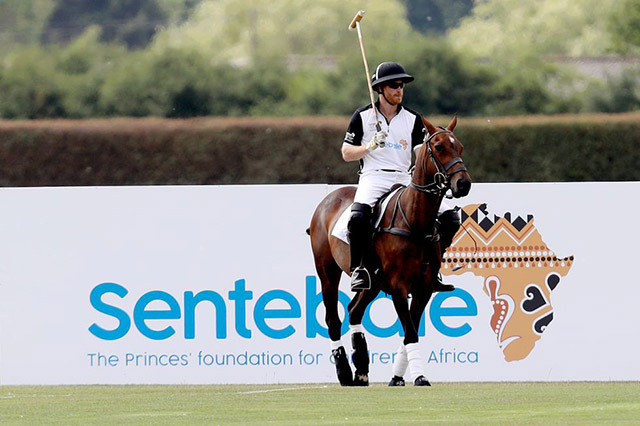 This morning, Prince Harry will head out on the polo field for a charity competition, raising money for his non-profit Sentebale. Co-founded by Harry in 2006, Sentebale supports children affected by HIV and AIDS in Botswana and Lethoso. 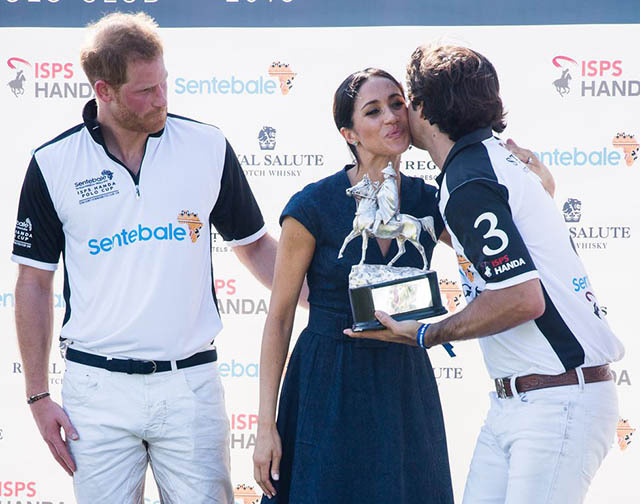 While the annual Sentebale SPS Polo Cup has been held in cities around the world, this year it's taking place a little closer to home for Harry, in Berkshire. 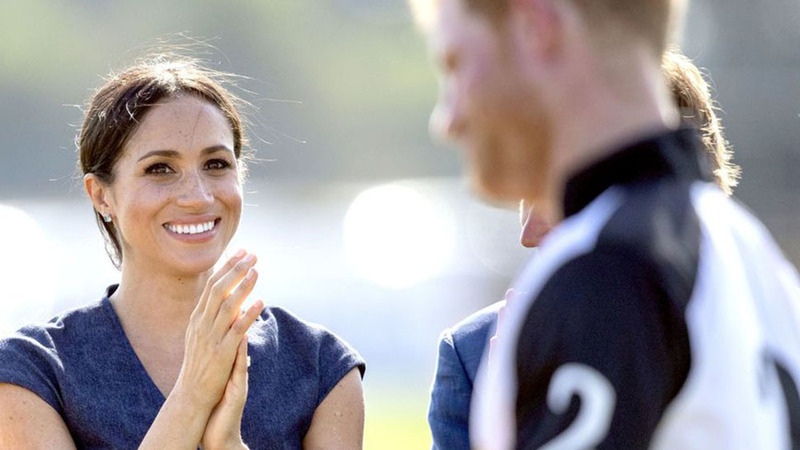 Meghan Markle is there to cheer on her husband, and Harry's cousin Zara Tindall is expected to be in attendance as well. See all the photos of the day below. 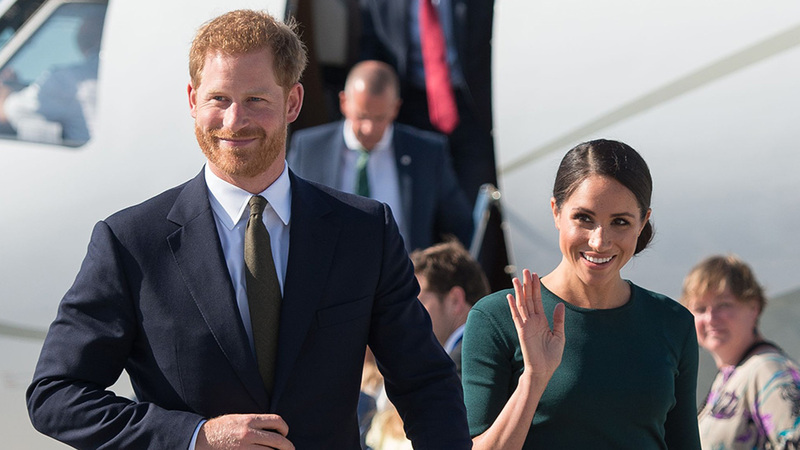 Meghan and Harry arriving for the day. 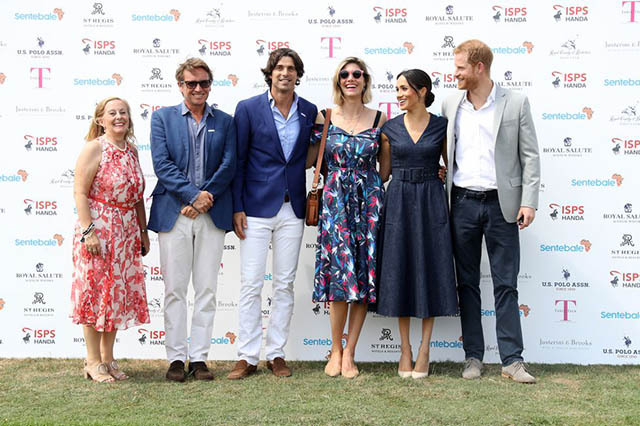 Sentebale CEO Cathy Ferrier, Sentebale Chairman Johnny Hornby, Sentebale Ambassador Nacho Figuares, his wife Delfina Figueras, and Meghan and Harry arriving at the Polo Cup. 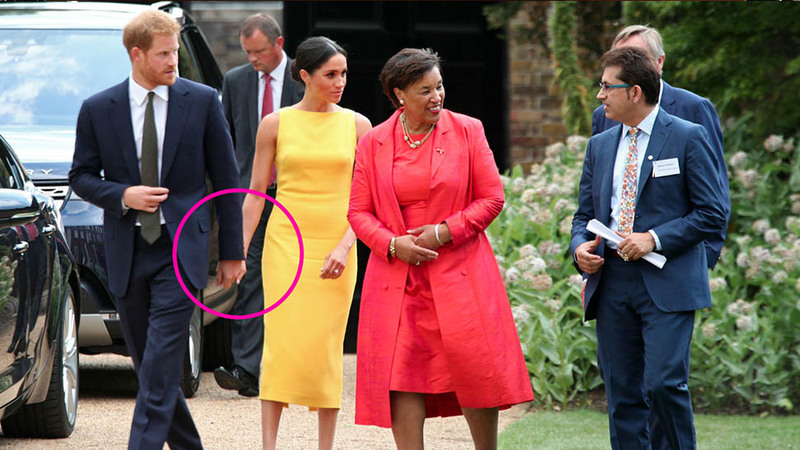 Here's another look at Meghan's outfit. 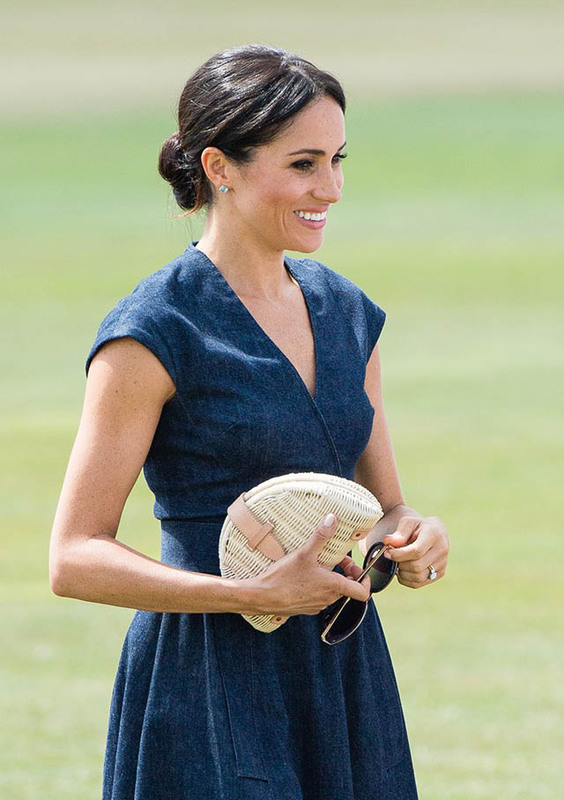 She paired a belted Carolina Herrera dress with an affordable J.Crew clutch. Prince Harry's cousin Zara was also in attendance at the event. 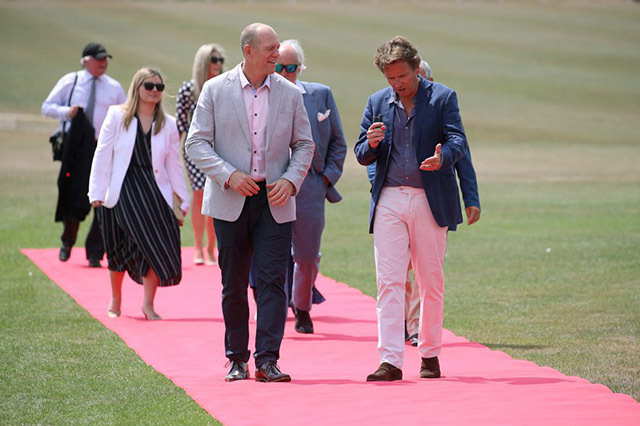 Here is her husband Mike Tindall alongside Sentebale Chairman Johnny Hornby on the red carpet. Here's a closer look at her bag, which is currently on sale. The Duchess of Sussex chatting with Delfina Figueras, wife of polo player Nacho Figueras. 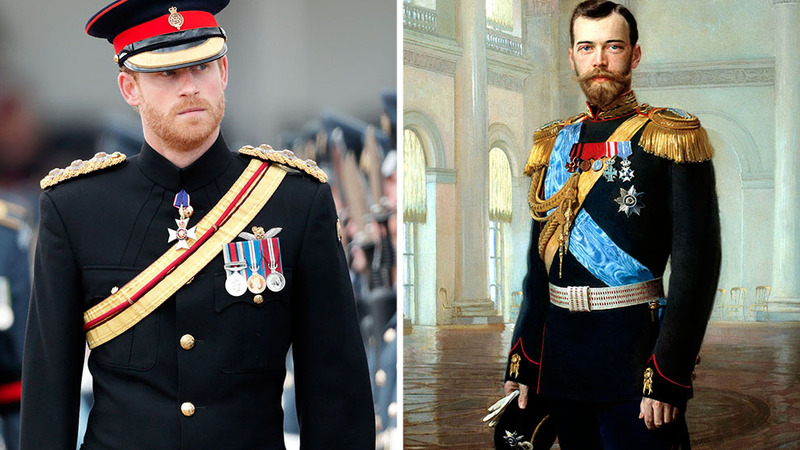 Prince Harry scored the first goal of the day. His team would later win the match. 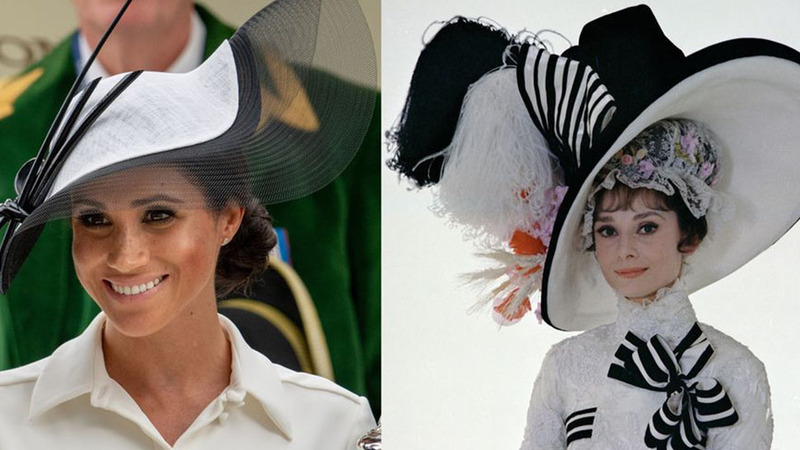 Meghan cheering on Prince Harry. 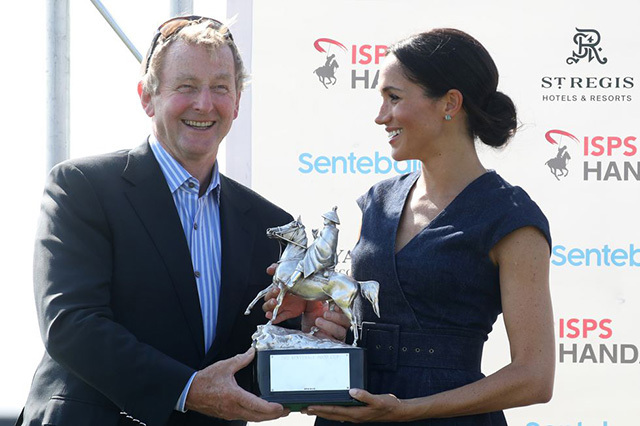 Meghan, Duchess of Sussex and Enda Kenny pose with the Sentebale Polo trophy. 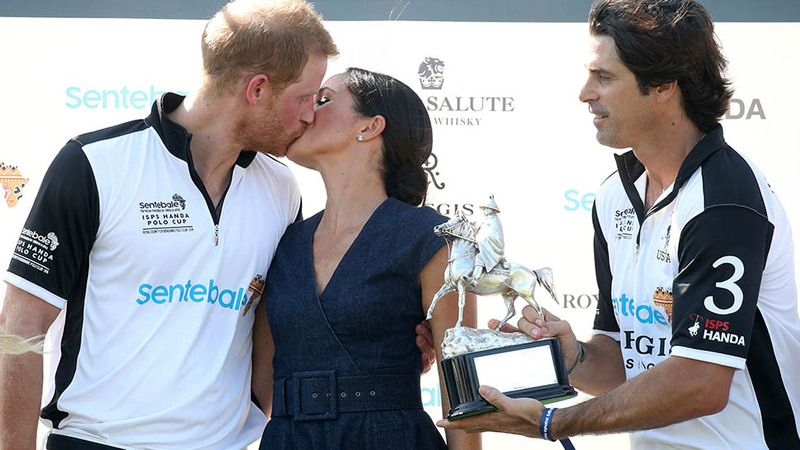 Here is the Duchess of Sussex presenting the 2018 trophy to Nacho Figueras. All the winners get kisses, apparently! 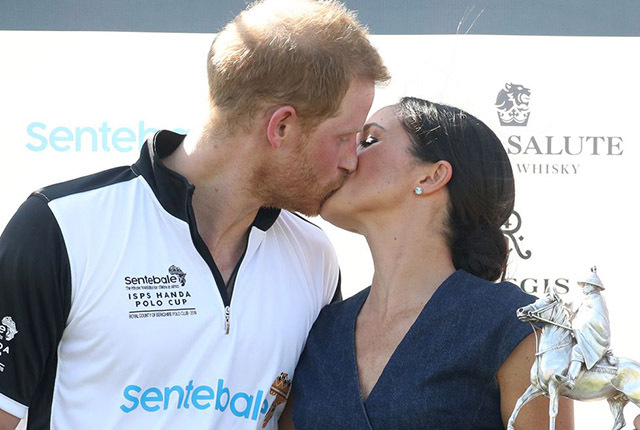 The Duke and Duchess of Sussex shared a quick smooch for the cameras at the trophy ceremony. Heading off the field after the match.